The captain becomes an even more important man following a shock and utterly dreadful defeat such as yesterday’s 3-2 loss against Swansea. Words do not atone for a lethargic and uninspiring Liverpool performance but Jordan Henderson has gone some way towards maintaining the hope and the confidence that has been flowing amongst fans and the players themselves throughout much of the season. January has been a month to forget for Jurgen Klopp’s men so far yet the skipper still has faith in this side and is confident the players are capable of demonstrating some resilience. 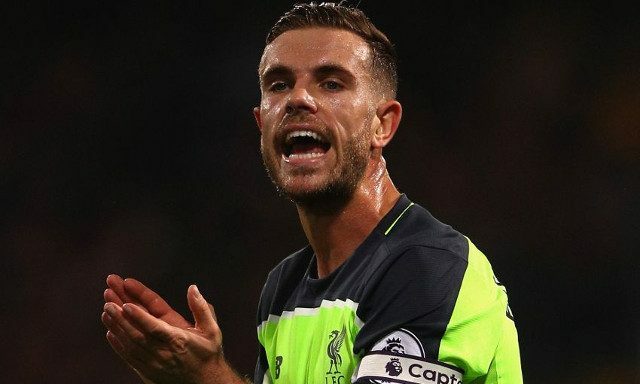 “It’s how you react after defeats, that’s how you can show character, show your spirit and show how good you are as a team in the game after,” Henderson told BT Sport via Liverpoolfc.com. The players can’t afford to dwell on yesterday’s setback with the task of overturning a 1-0 deficit in their League Cup semi-final second leg against Southampton next up for the Reds. A midweek game under the Anfield lights and the chance to make it into a final poses as an ideal opportunity to get some confidence back ahead of a testing couple of weeks that will be topped off by a potentially season defining clash against Chelsea.